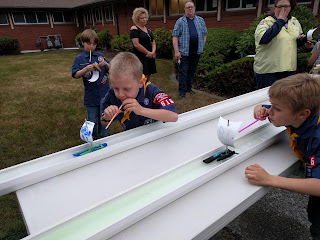 Jared had a raingutter regatta with cub scouts. The water in one of the gutters was stained by a scout's boat that did not have completely dry paint. Our cub scouts are very serious about their pinewood derbies, with an electronic track that senses the winning car and keeps times, but they are much more casual about raingutter regattas. We were really happy to have Eloise and Daddy home. 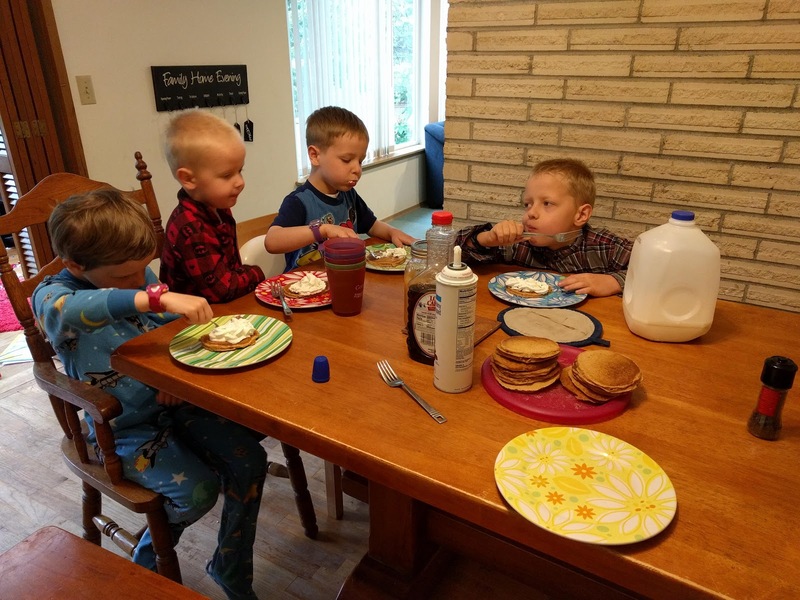 Although our dining room table easily seats ten children, these children always have to sit "squishies" as Eloise and Sammy say when they cram into our single stroller together. Homeschool math is super fun when we don't have to do lots of worksheets. 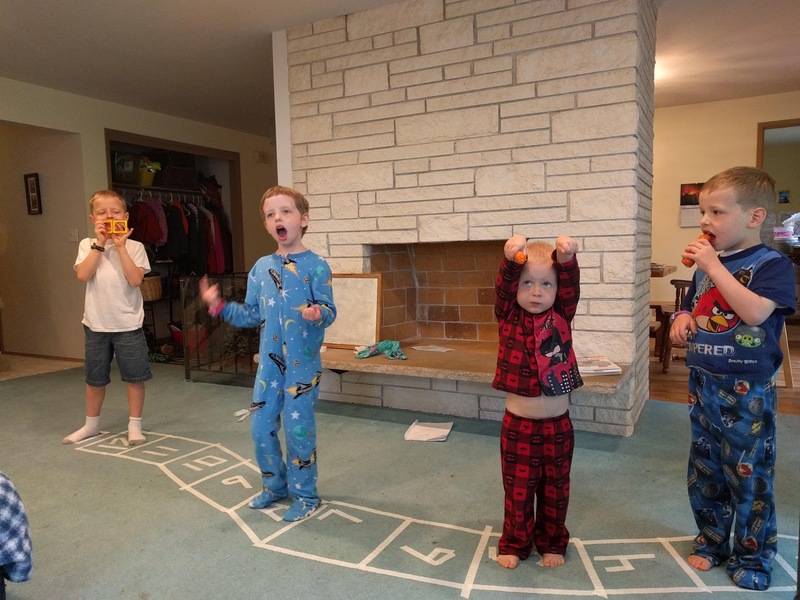 This game is called "Monarch of the Mountain." B is a very creative builder. 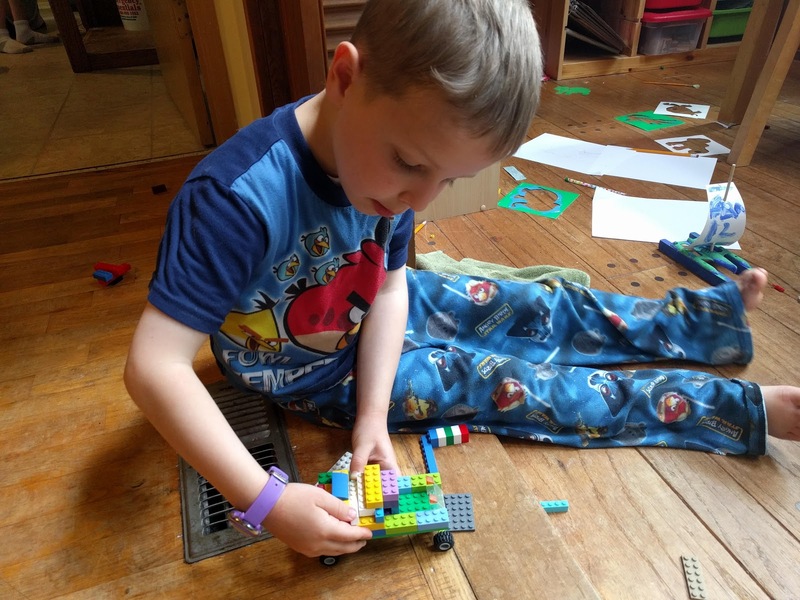 He built lots of Lego trucks and airplanes last summer. 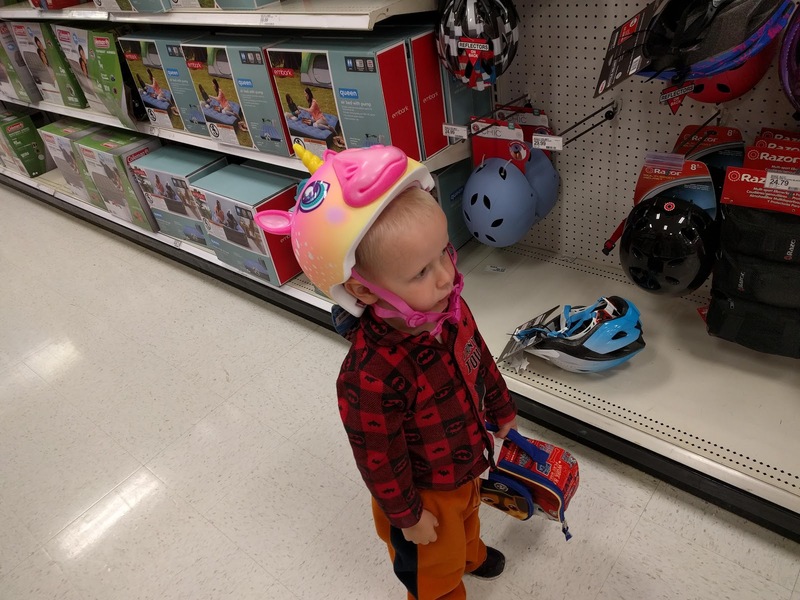 Sammy outgrew his old helmet, so we went to pick out a new one while we were getting new lunchboxes in preparation for starting school in the fall. When Sammy saw the pink unicorn, he would not look at any other helmet. 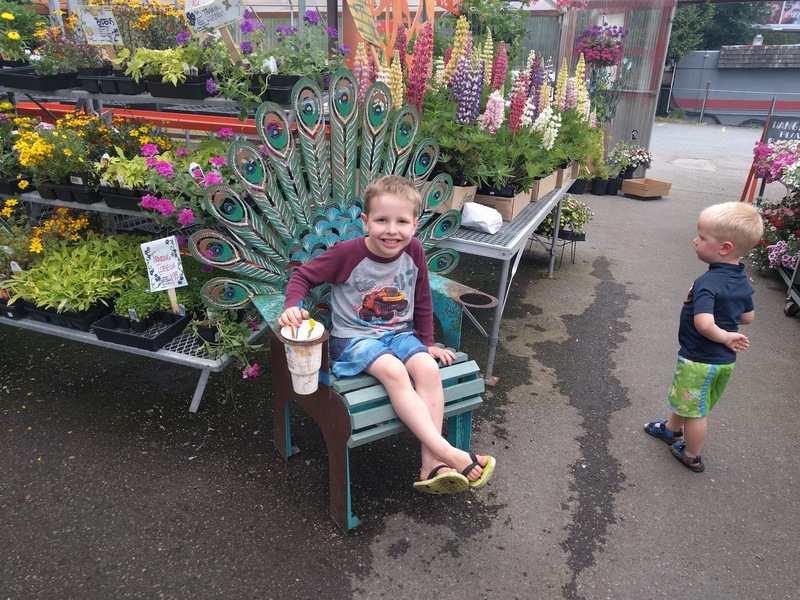 He wears his unicorn with pride, and he is delighted that his friend Katie has one that is almost exactly the same. 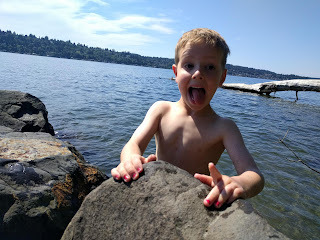 The lake is still icy cold in June, even when the weather is warming up, so we had to go to the pool to get our swimming fix. Jared is getting so old. 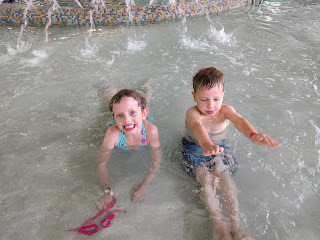 I hardly see him at the pool anymore. 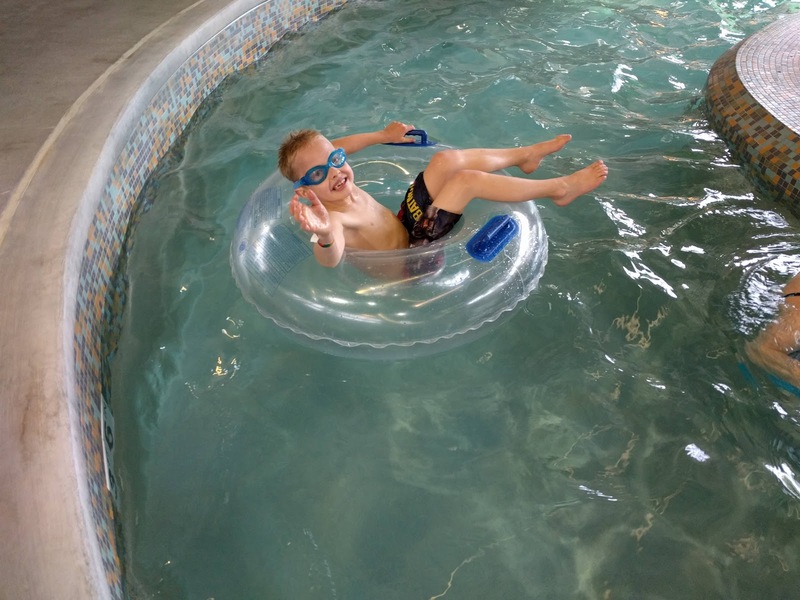 He takes off and swims, floats, and slides until I go looking for him. B was intrigued by the idea that girls can have very short hair, and so he decided, for equality's sake, that he should grow his hair long. 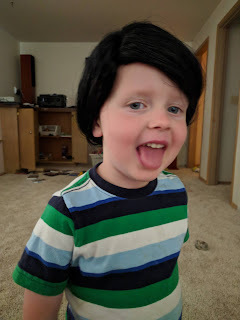 While I admire his egalitarian views, the upkeep of five year old boy hair was going to be too much, so Todd promised to get him a long wig if he would get his hair cut. As promised. . . 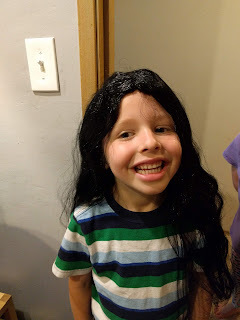 I braided the wig, and then Sammy had a try. They were surprised at how tickly it was. Eloise loves reading to her brothers. This is a win win for everyone. 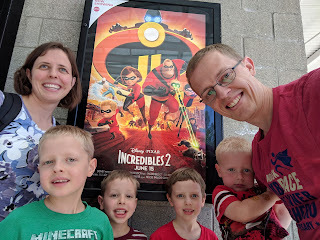 We had a family outing to see "The Incredibles 2," which we had been anticipating. It did not disappoint, although the plot was slightly more complex for the kids than the plot of the original "Incredibles" movie. 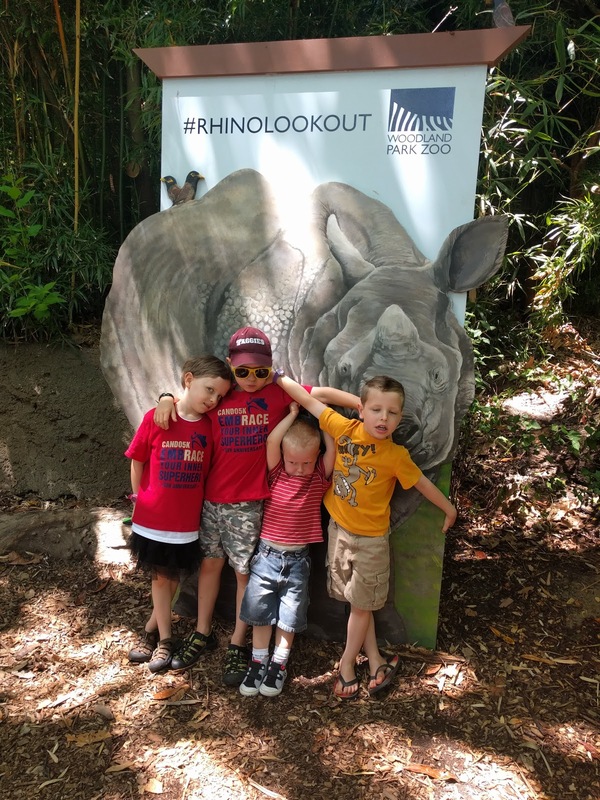 Sammy and B wanted more trips to the zoo to see the new rhinos, which arrived at Woodland Park Zoo in May. Jared put aside his disdain for childish zoo trips because he was excited about the new addition. 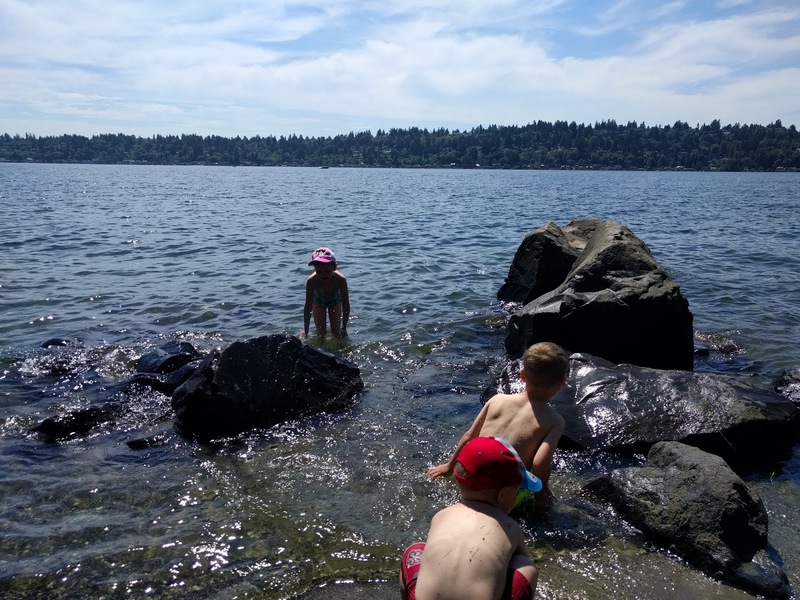 and impromptu swim sessions at the beach. I took the kids on a walk in St. Edward State Park, and when we got to the bottom of the trail, the kids all surprised me by pulling swim trunks out of their backpacks. 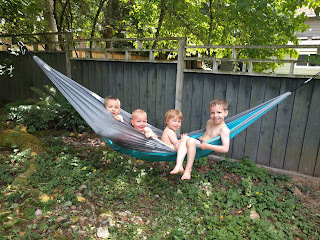 We had some Christensens over for water play in our backyard. Todd put up a hammock post so he could hang a hammock in our back yard. We went grocery shopping at the Yakima Fruit Market in Bothell. 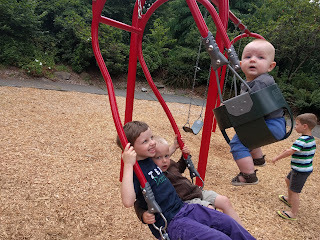 We had a park play date with friends. Eloise and Sammy sat squishies to entertain baby Rock. Todd had a day of service with his office. 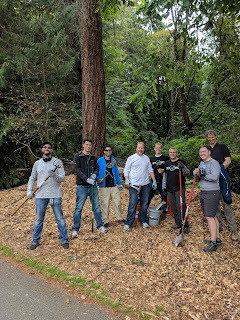 They cleaned up O. O. Denny Park, which is one of our neighborhood parks. We took a trip to Tacoma to the Washington State History Museum where we met the Carvers and the Christensens. 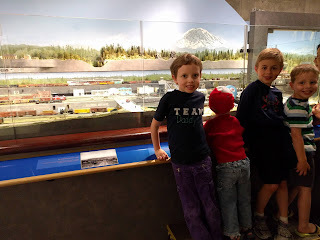 They have an epic model train there with models of lots of actual buildings in Tacoma. 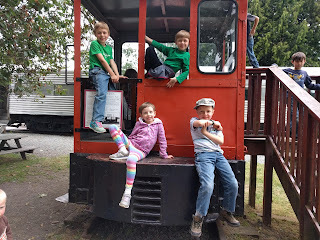 We explored the whole museum, but, in spite of all of the hands-on, technologically involved exhibits we saw in the rest of the museum, everyone kept wanting to go back and watch the trains run. 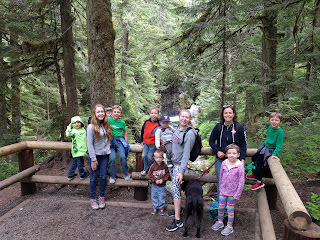 The next day we drove up Snoqualmie Pass to hike Franklin Falls with the Christensens and their visiting cousins. We really have a ton of kids now. 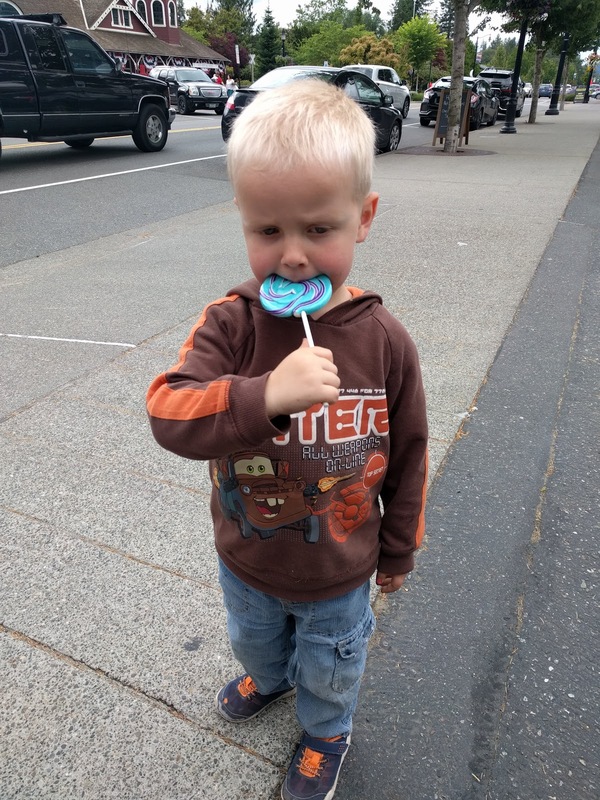 We took a couple of Christensens on the way back. 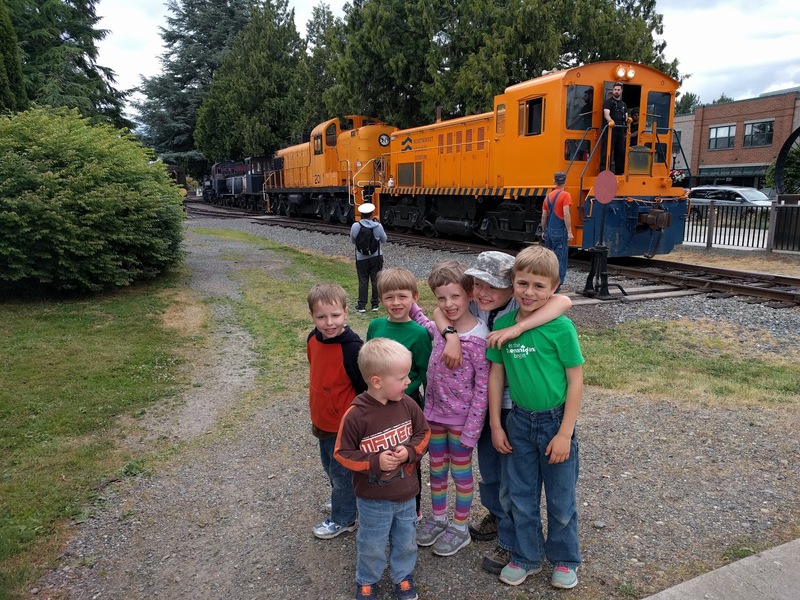 We stopped at the Northwest Railway Museum, presumably to meet the rest of the group and give back some kids, but the babies were asleep in the other car, so they just drove home. We got there at the right time to watch trains moving around. One of the engineers found a penny on the tracks. 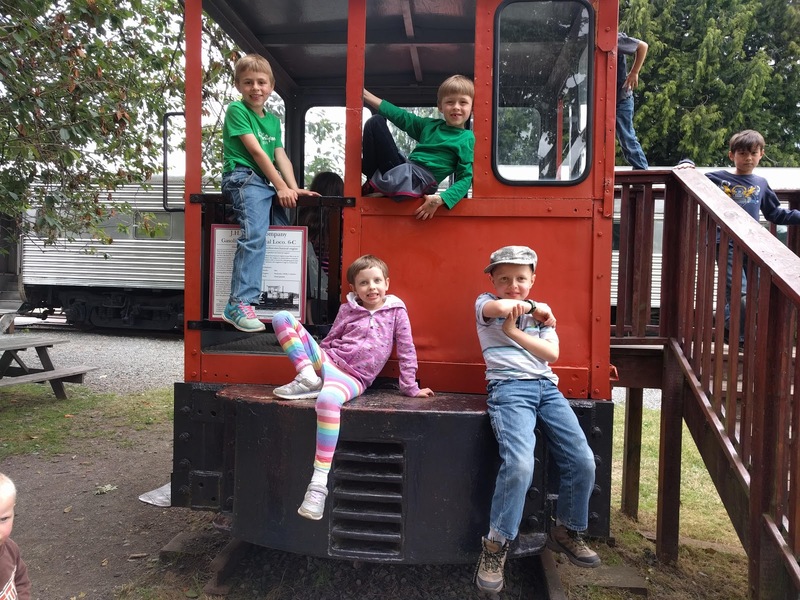 When he saw that the other kids wanted smashed pennies, he put a few pennies in the path of one of the locomotives and then picked them up when it had passed to give them to the kids. 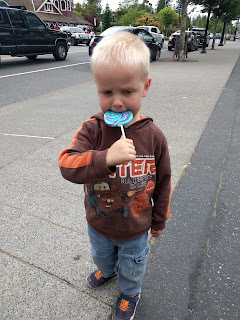 The kids each picked a treat from one of the shops in downtown Snoqualmie, and then we went home from an epic and exhausting week. 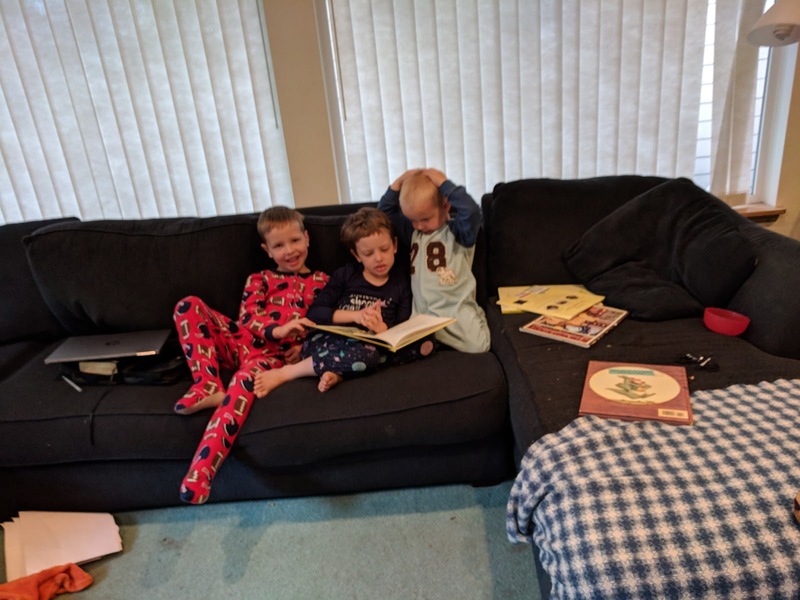 Sammy shares a room with Jared, who is an early riser. In the summer, when the sun is up early, Sammy started getting up when Jared woke up most days, unwilling to miss any of the gorgeous summer days. He just couldn't quite function that early in the morning, so he fell asleep at the end of the hall. 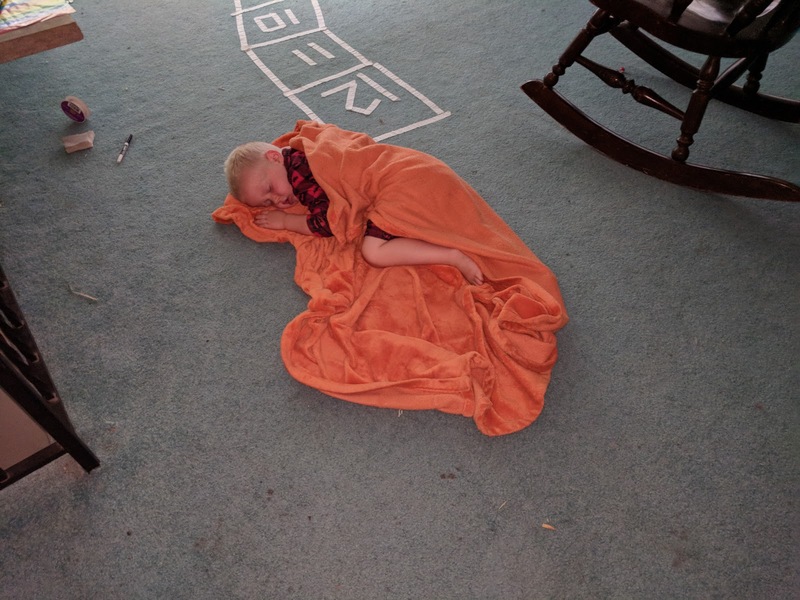 The orange fuzzy blanket is Sammy's comfort item. 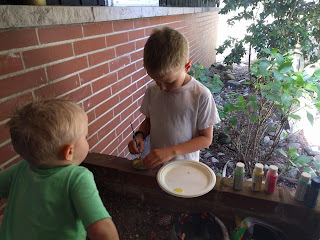 Look who is doing art! 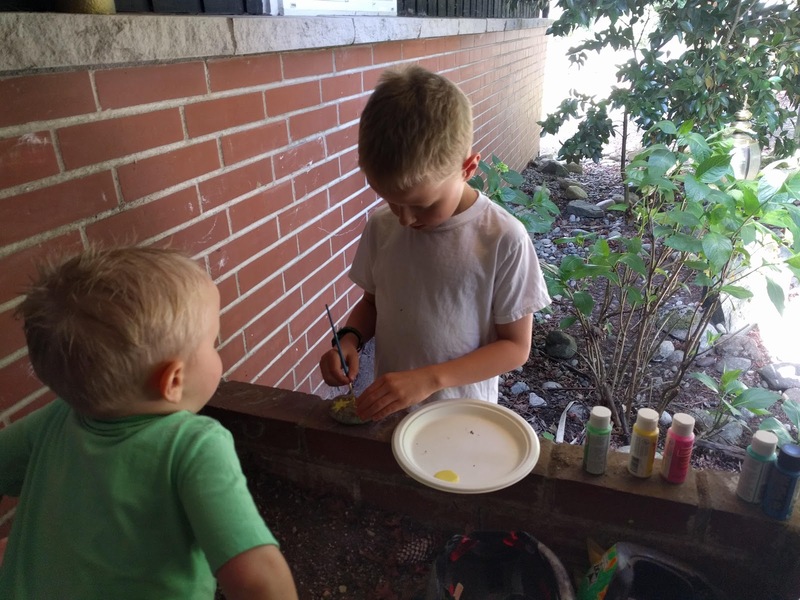 Jared decided he was okay with painting as he embarked on a mammoth project to paint every rock in our front yard rock garden. 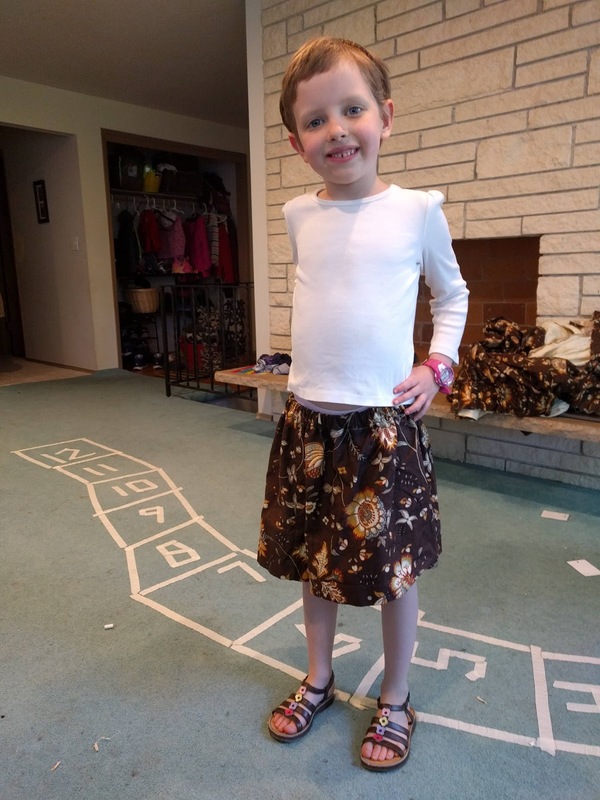 Eloise made a skirt for herself out of some of the curtains that came with our house. 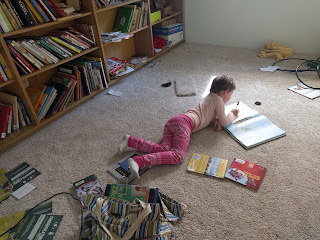 We have slowly been replacing the window coverings since we moved in with new curtains or blinds. Eloise's skirt project reminded me of the scene in "The Sound of Music" where Maria makes play clothes for the kids out of the old curtains. I call this Eloise's "Sound of Music" skirt. Whew! 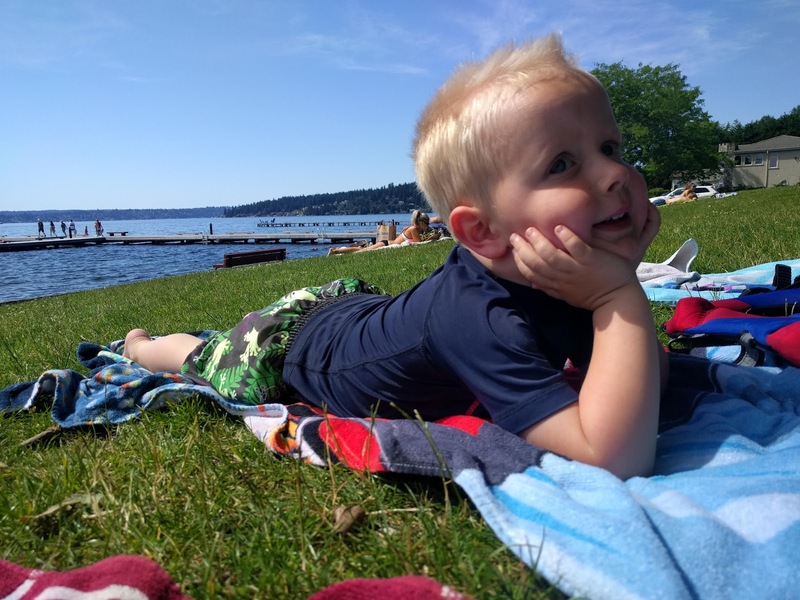 The pace of life in the summer can be exhausting. 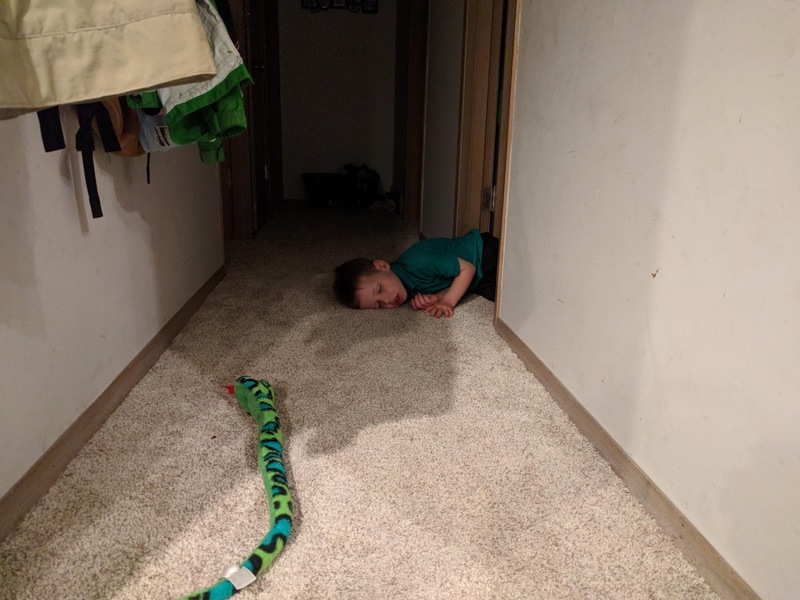 Sometimes B goes to the bathroom at night and can't quite make it back to bed. Sleep while you can, sweet boy. More adventures are yet to come.